Collins Booksellers - Conversations on Gone Girl by Gillian Flynn by dailyBooks, 1230001216912. Buy this book online. Gone Girl, the latest novel from Gillian Flynn, tells a story of lies, manipulation, and revenge. The story follows Nick and Amy, a couple who are about to celebrate their fifth wedding anniversary. The pair falls on hard times when they both lose their jobs. They must move from their home in New York City to Nick's hometown of North Carthage, Missouri to live with his mother. Suddenly, on the morning of their fifth wedding anniversary, Amy mysteriously disappears. Nick becomes the number one suspect in her disappearance. However, everything is not what it seems. The reader quickly realizes that every story has two sides, including this one. Now, Nick must find a way to clear his name and find out what truly happened to his wife. 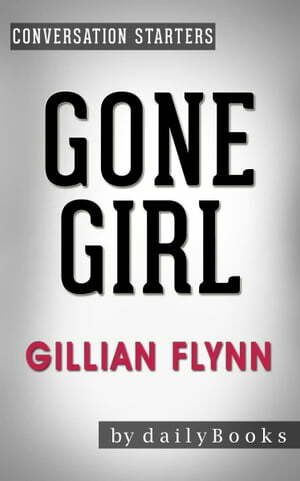 Gone Girl by Gillian Flynn was highly praised by The New York Times, Publishers Weekly, People Magazine, and many other publications. The book was adapted into a film of the same title, which was released in October of 2014.